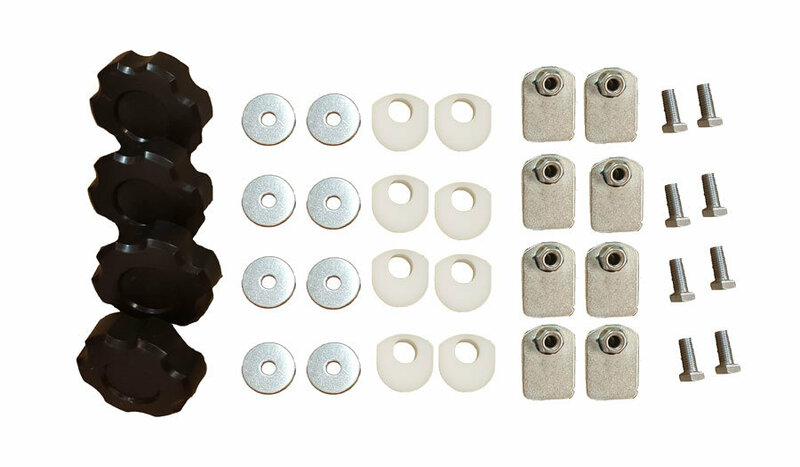 Upgrade Option: MoJavi Saddlebag Dry Pods add 100% waterproof performance with RF-welded inner liners with air purge valves! “Probably the best additions were the Giant Loop ‘MoJavi’ saddlebags, which is where we stuffed all of our heavy items. Our shoulders thanked us. 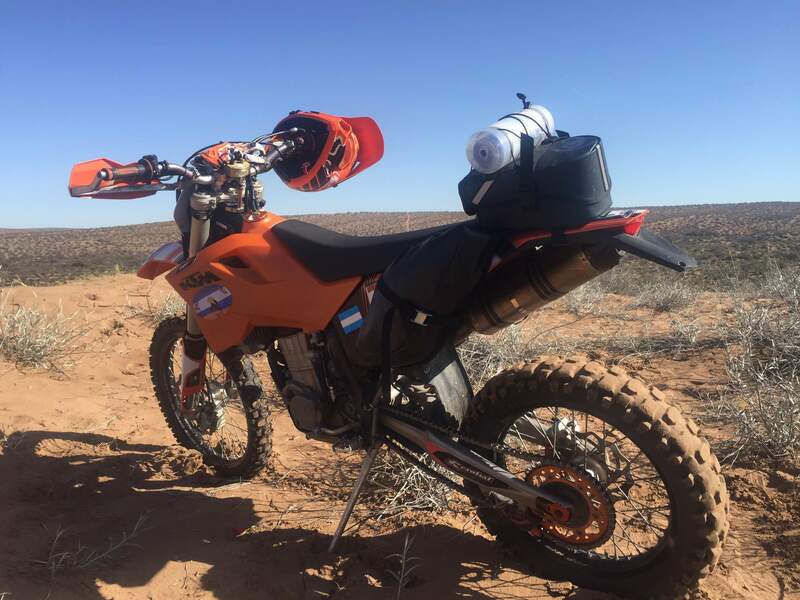 With the weight off our backs and secured to the bikes, we could ride twice as long without getting tired,” wrote multiple Baja 1000 winner and top 10 Dakar Rally finisher Quinn Cody in Dirt Bike magazine. 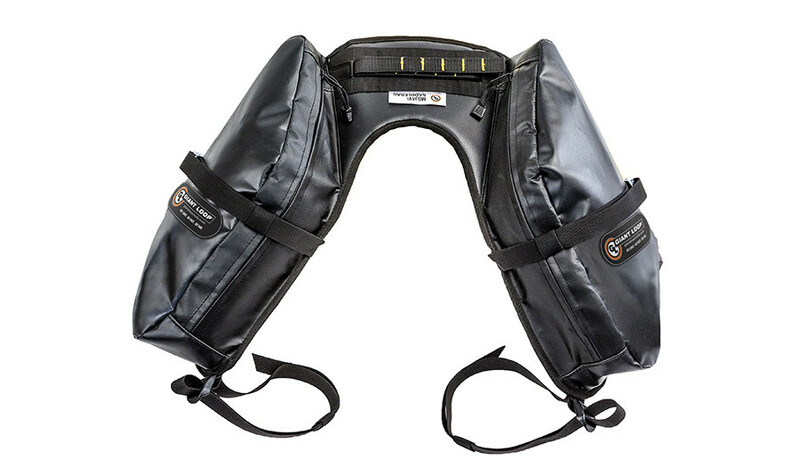 Take a load off with the rackless MoJavi Saddlebag motorcycle luggage! 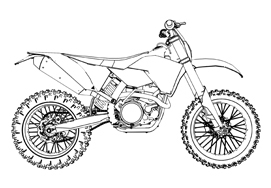 Improve rider endurance and comfort by taking the weight out of a backpack and putting it on your dirt bike, dual sport or supermoto motorcycle (and an astonishing array of other bike types, including adventure touring, scrambler, standard and sport). 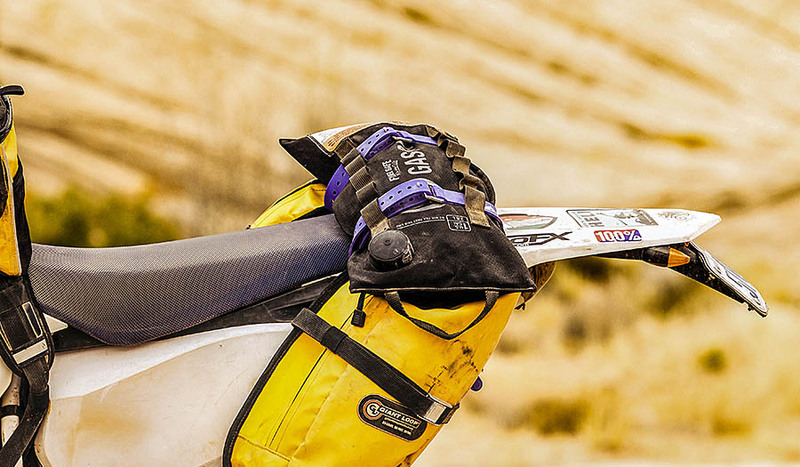 Specifically designed to carry just the essentials needed for a day trip or trail ride, the MoJavi Saddlebag is the rackless, slim, trim bag for inner tubes, tools, fluids and other save-a-ride necessities. Straps on. Stays on. No matter what. No side luggage racks required. 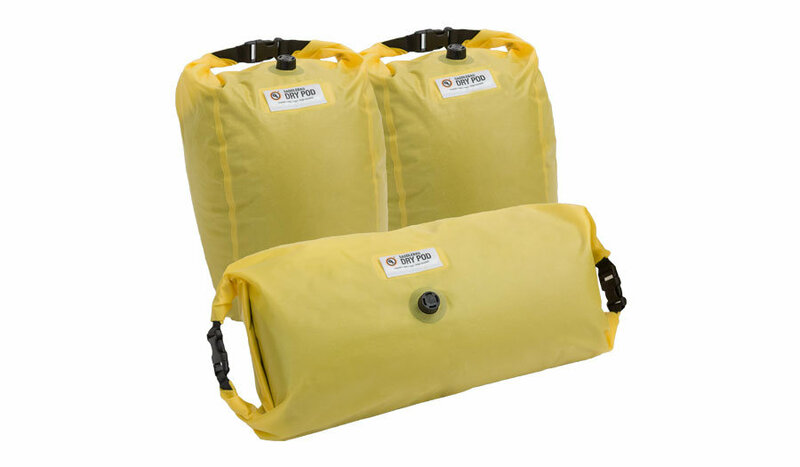 CARRY SPARE GAS ON THE MOJAVI WITH THE GIANT LOOP GAS BAG! AVAILABLE IN ALL FIVE STANDARD COLORS – YELLOW, WHITE, GRAY, ORANGE AND BLACK! Center pouch is optional. MOLLE-style lash points on top/center allow mounting of additional gear, Possibles Pouch, Klamath Tail Rack Pack, or go naked! 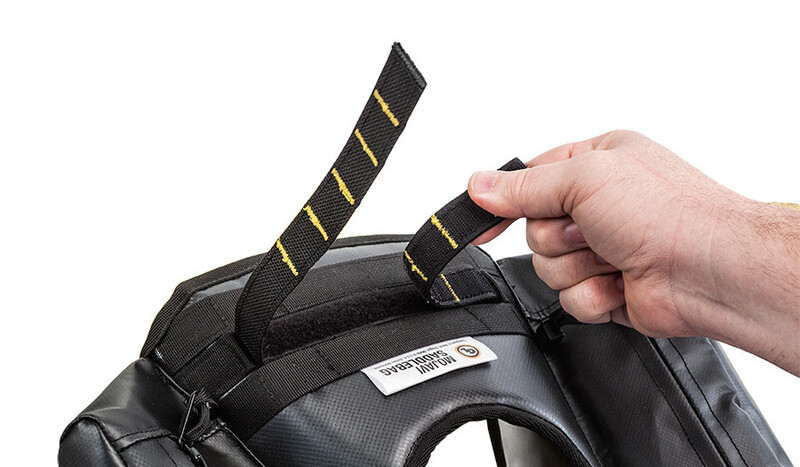 Rackless motorcycle luggage design straps on/off virtually any bike in seconds – USE GL MOUNTS TO KEEP SIDE ANCHOR AWAY FROM HOT EXHAUST! 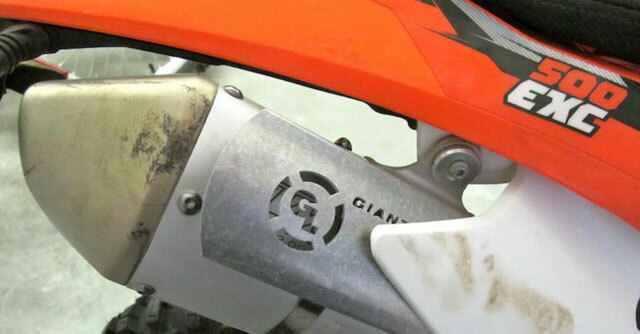 NOTE: For racing use, we recommend simply bolting the rear of the MoJavi Saddlebag to the fender to ensure that it will not come off even in a crash – instead of fender hooks, use bolts, locking nuts and fender washers through the slots were the fender hooks pass through the base of the Saddlebag. Click links to view video in new window/tab, or hit your broswer’s Refresh button to view videos here on this page! I love the fact that these saddle bags have rode close to 5,000 miles across a variety of terrain from forest service roads to tight enduro single track all while causing me zero uncertainties. 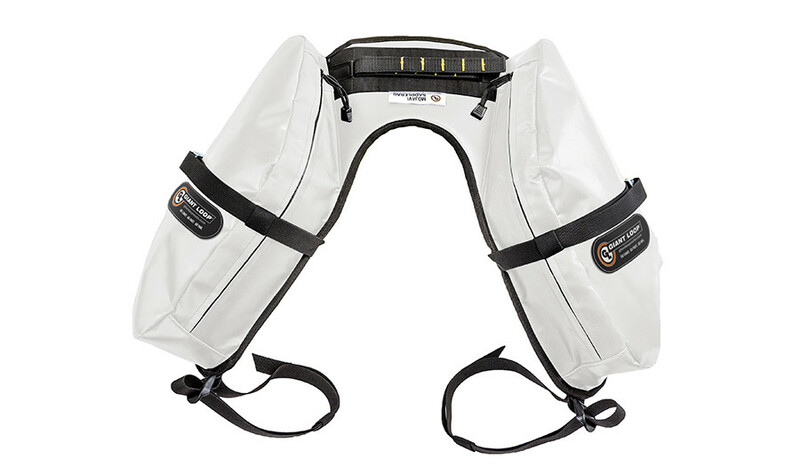 Fitting snug with a slim profile allows these saddle bags to perform great in all off-road conditions. 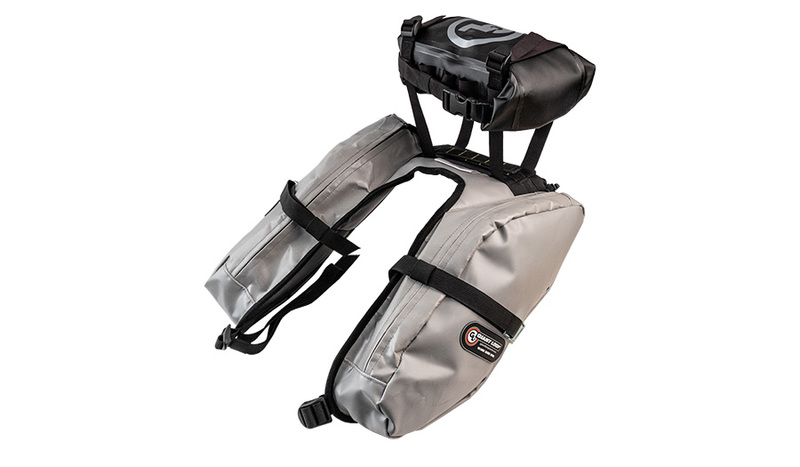 I have never had to be concerned whether the saddle bags would ever dis-mount themselves and I have not once even had to re-adjust the straps. They have even endured a few crashes without issue or coming lose from the bike. All this adds up to me having one less thing on my mind and lets me ride instead of worrying about or fiddling with equipment on the bike. 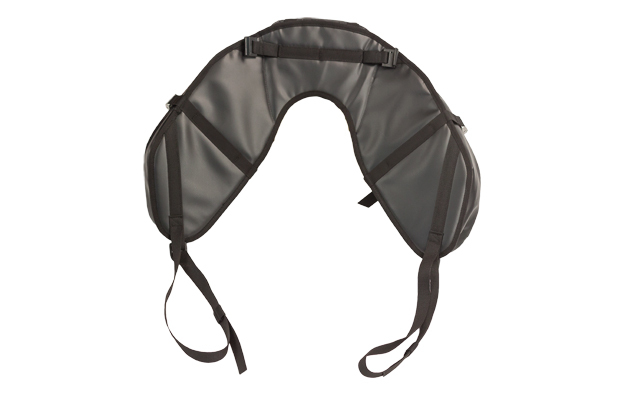 But if I had one super favorite thing that I loved about the MoJavi Saddle Bags is that I’m able to carry the load of ride day necessities lower, with a slim profile, and I don’t’ even notice that they are there right behind my legs. 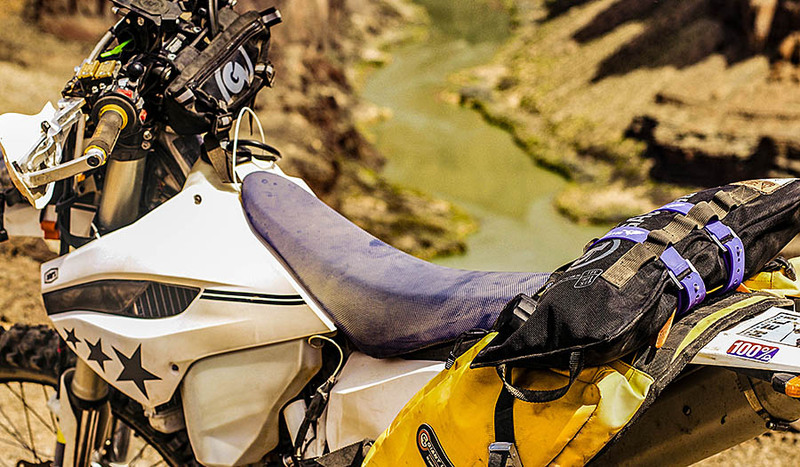 If you are in the market for an off-road luggage system that can carry your day tripper cargo and allow your dirt bike to stay nimble and retain its slim profile then the MoJavi Saddle Bags should be at the top of your shopping list. Digging around on the internet I have heard comments concerning price and yes some consider them pricey at $199 ($199 is a new lower price tag) but these high quality bags are made in the USA and compete against low-priced products globally. Remember the ole saying “you get what you pay for”. Because my WR450F is outfitted with the Mojavi Saddle Bags I have defiantly enhanced my dual sport adventures, having more fun, and properly prepared. 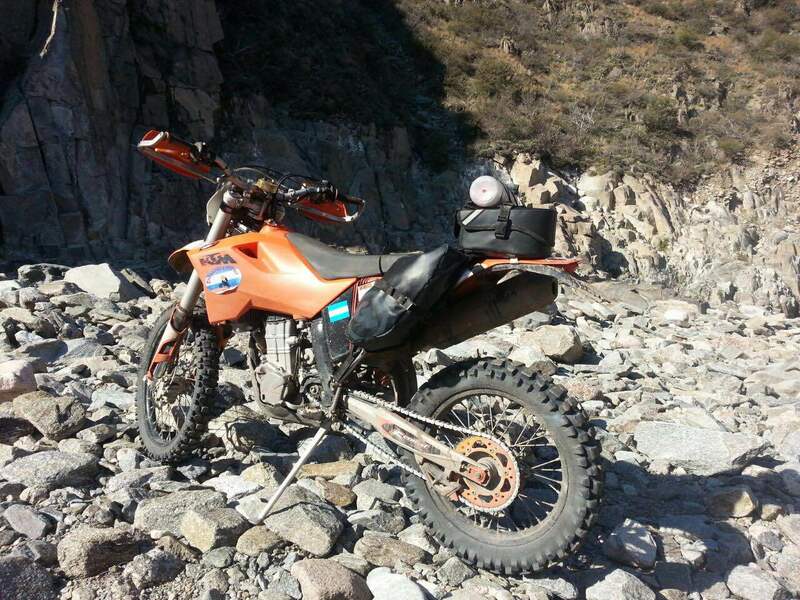 Moto Aventures is an off road motorbike tour operator based in Morocco. 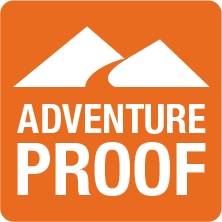 We run over 20 tours a year with each tour being a minimum of 1000km of hard off road. 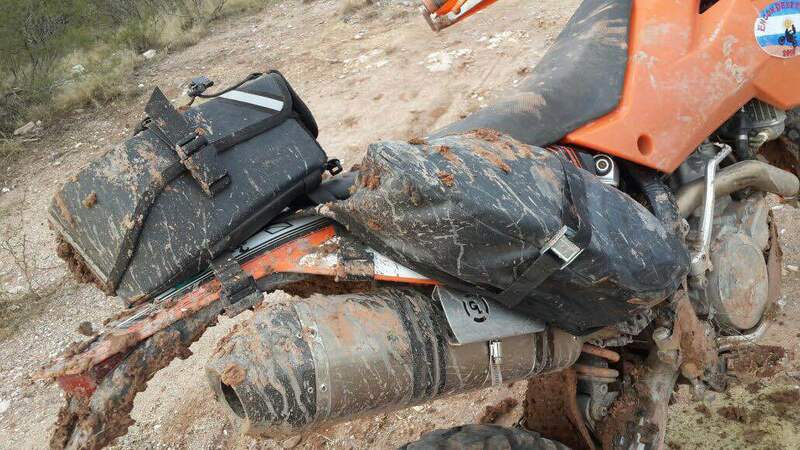 I have had a set of Mojave Saddle bags on the guide bike for over 5 years (the bike has been changed 3 times but the Mojave is the same)….that’s over 100, 000km of abuse and other than having to change the straps that go around the chassis on numerous occasions due to my boots wearing them through I can not fault them. 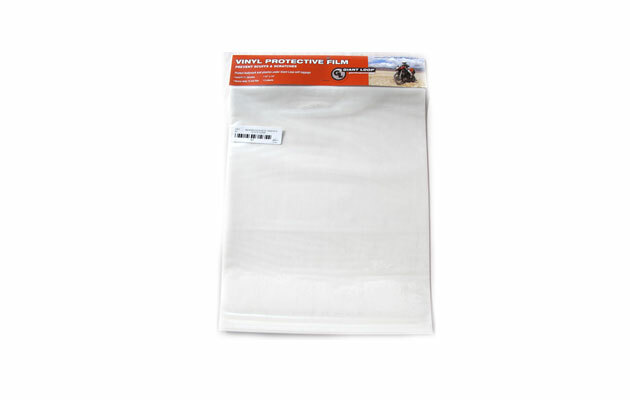 An amazing product that I don’t hesitate to recommend. Thank you for choosing Giant Loop for your adventures! Your feedback and comments are appreciated.